Entertainment Earth Exclusive! He's sooooo angry! 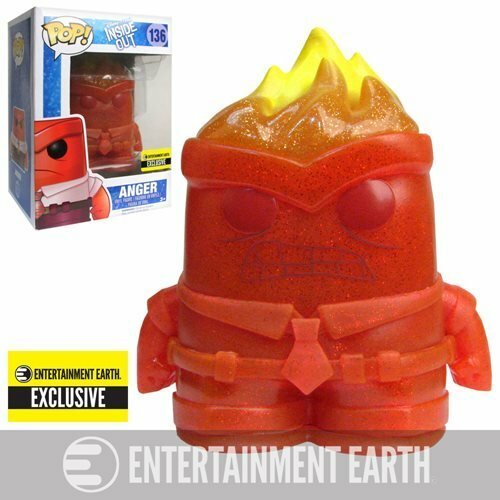 Anger can be fun with the terrific Inside Out Crystal Anger Pop! Vinyl Figure - Entertainment Earth Exclusive from Funko. This exclusive version measures about 3 3/4-inches tall in a crystal-red, semi-translucent deco with sparkling glitter undertones throughout his body and parts of his hair. The top of Anger's head displays his burning rage in yellow flames. He comes packaged in a window box, ready for play or display. If you don't add him to your collection, he'll get really mad! Ages 3 and up.